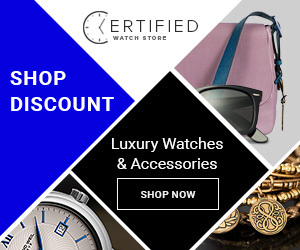 Welcome to the Affiliate Center for CertifiedWatchStore.com. Here you can reference the program’s terms and stay up on important updates. 1. 30 day money back return policy. 2. FREE shipping on all U.S. orders. 3. We service every brand name watch sold on our website for a period of 2 years after purchase.